Well Daylight Saving Time is upon us once more and that can mean only one thing. It’s time for me to get my bike out of the trainer and back onto the street. With less than three months till the 2010 Ride to Conquer Cancer I have some trainin’ to do. 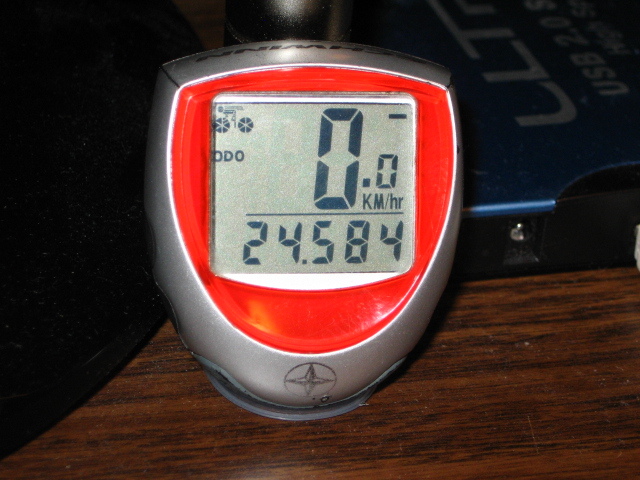 Started off slow today; just a little over 24 km. Did 10km to work this morning in the rain and then home gain with a side trip to the church. My time? Nearly 2 hours total; a blistering 13.9 km/hr average. First day with real hills and hauling about 35 lbs of extra gear (tool bag and computer case) I wasn’t in any hurry. The War Between Cars and Bicycles is Over!